Students at WISH engage in service learning projects that teach them that they can have an impact on the larger community. Giving back to others builds the students' sense of confidence and social responsibility while instilling in them a commitment to serve others. 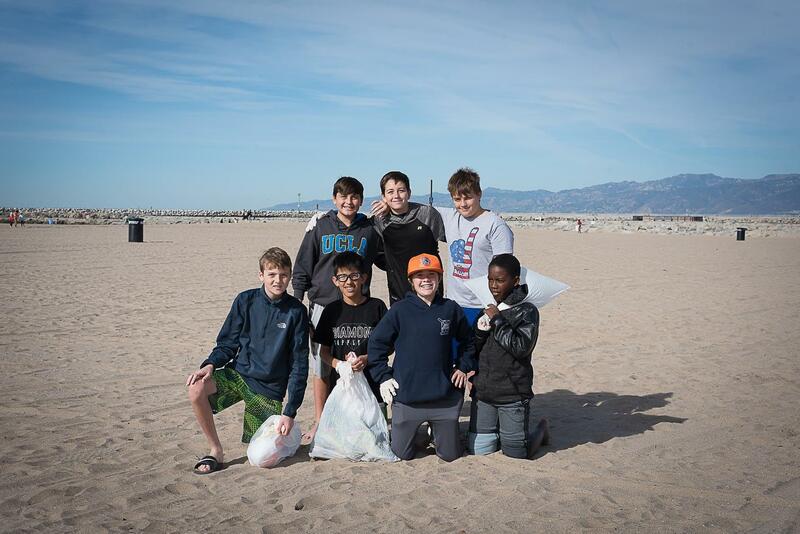 Our young people have participated in beach & community clean-ups, created supports for meals-on-wheels, helped bag groceries at local food-banks, provided service to animals in shelters, and much more. The service learning essays are some of the most powerful pieces of writing that we read each year, as the students reflect on the impact they have when they think of the needs of others and do something to make the world a better place. The entire WISH community kicks off the quarter of Service Learning with a beach clean up. In the elementary school, middle school, and at WISH Academy each grade level participates in a service learning project using the project-based learning model. Additionally, students in grades 6-12 also do individual service hours. At the end of the quarter of service, all students write an essay sharing about their service learning experiences and the impact that they've had on the community and how they have grown from their service to others.